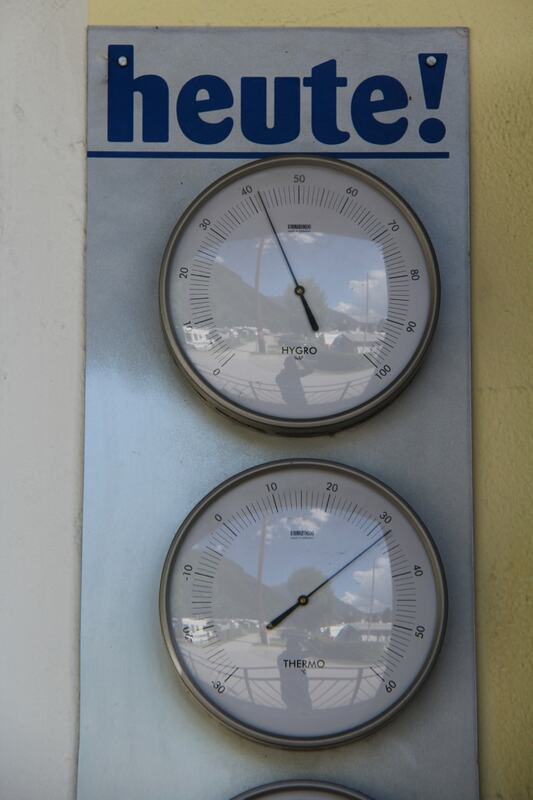 Having driven from Lake Bled across the Gerlos Alpine Pass to get to Camping Aufenfeld, we’d been blessed with scorching hot weather for late May… and this didn’t relent with the thermometer reaching the dizzy heights of 33°C. 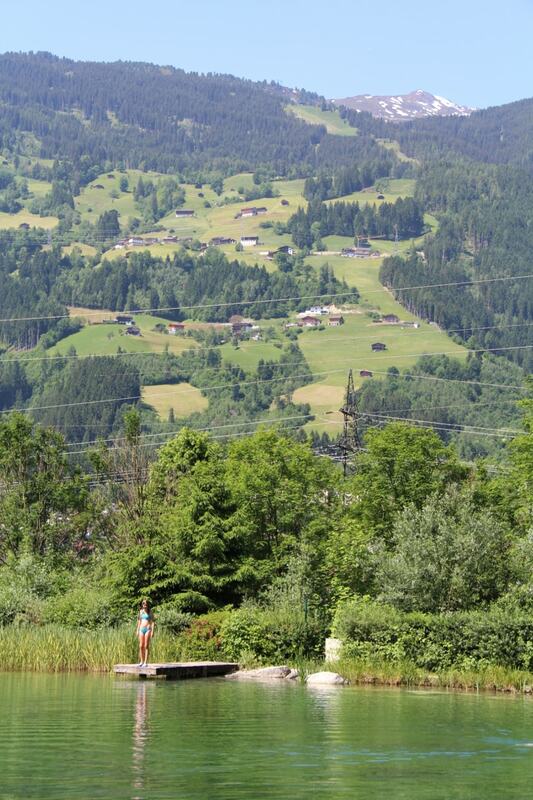 So what better place to spend a couple of days than a campsite with it’s own outdoor lake!. 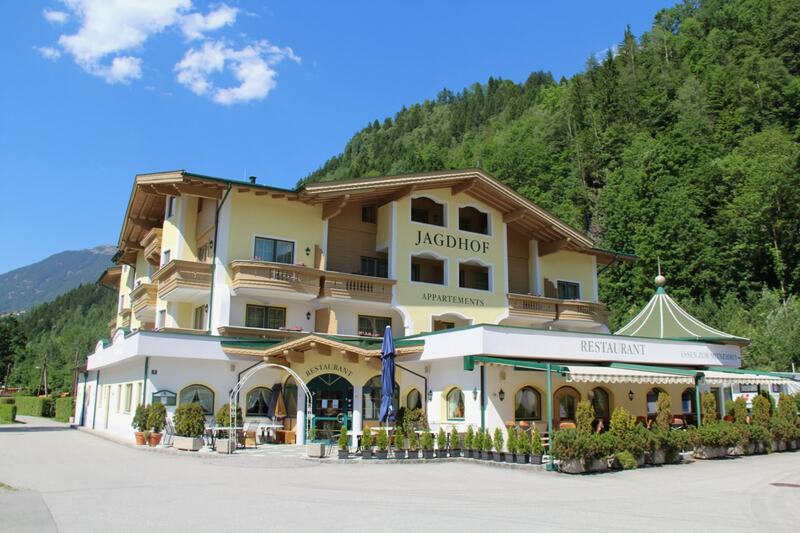 It’s a hidden Austria gem not to be missed…. 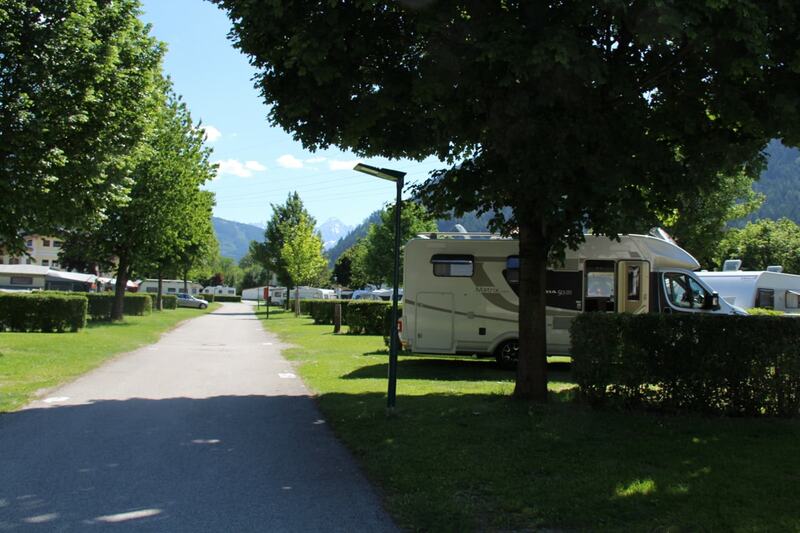 Reassured to know that it’s another Leading Campings campsite, it follows stays in others like Camping La Marina (Spain), Zaton Holiday Resort (Zadar, Croatia) or Union Lido (Venice, Italy). 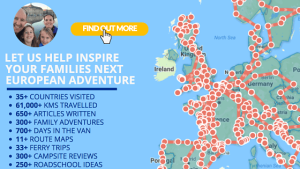 All family friendly campsites that have a little extra. 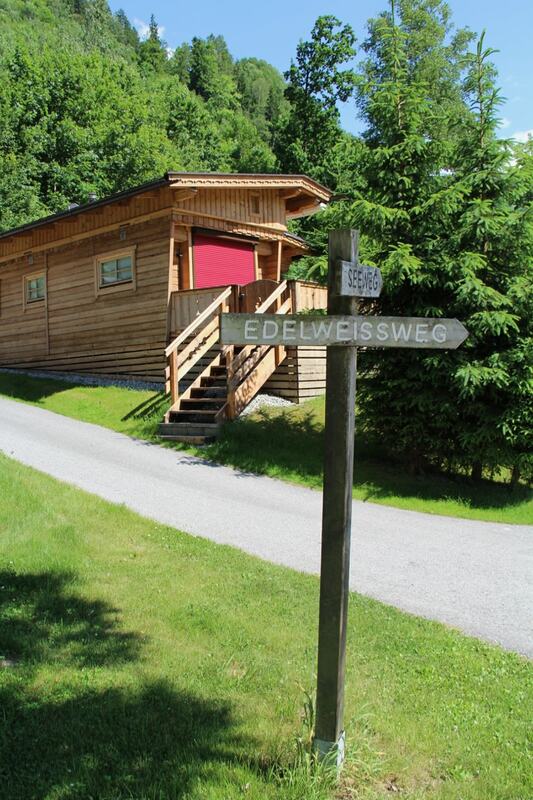 So what did we find at one of Austria’s best campsites (Number #3 for those interested)? As you can see from the above, it’s packed with opportunities for everyone. 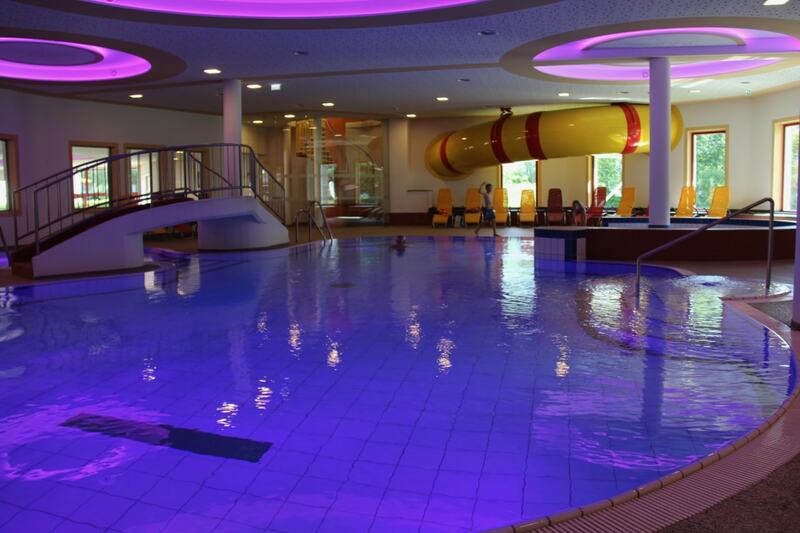 Spa and Wellness centres that are usable by the whole family, onsite restaurants, indoor and outdoor playgrounds and even it’s own floodlit nursery slope ski area!! (a first for us to find on a campsite)… the girls were in awe! 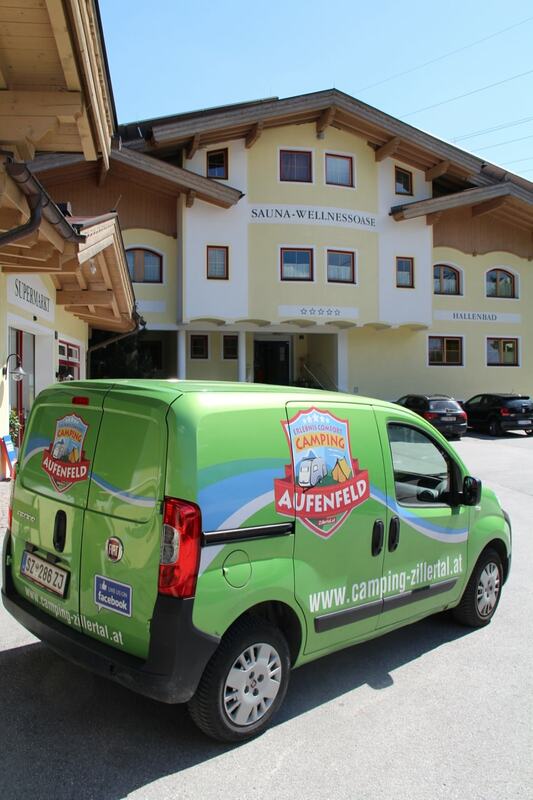 Aufenfeld is a family run business in the middle of the Zillertal Alps, some 1hr away from Innsbruck. 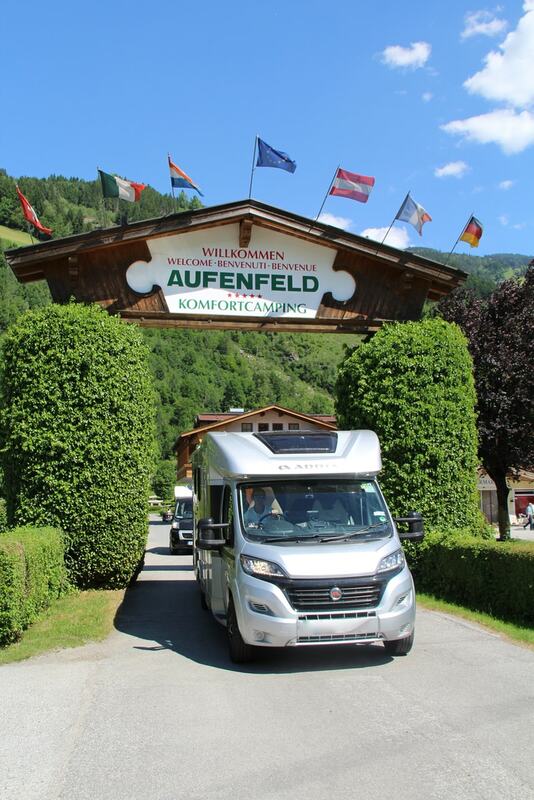 It’s known as one of the most active valleys in Austria with plenty of excursions and opportunities both inside and outside the campsite. Just remember not to ask for ACSI discount as they only accept ADAC / Leading Card. 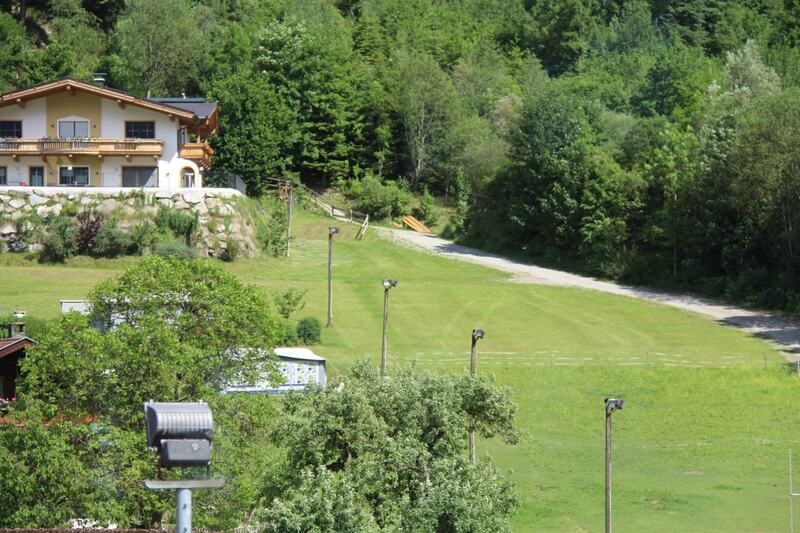 This well maintained campsite offers good size plots and plenty of green space with panoramic views all around. 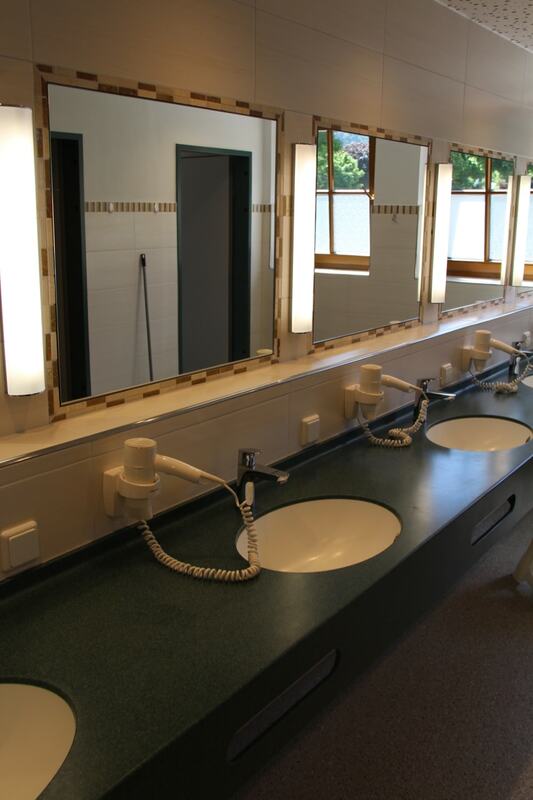 We loved the easy pitch markings and facilities on each pitch, whilst the sanitary facilities were well looked after and reasonably modern. 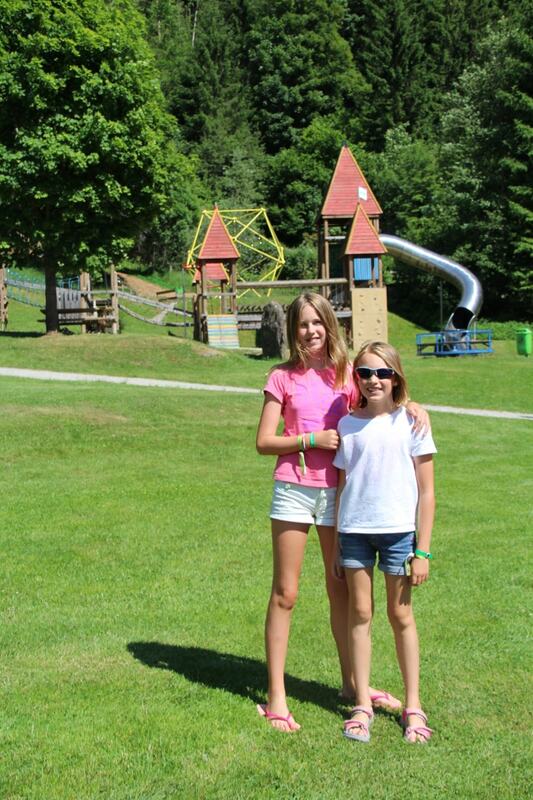 Both girls loved the ‘boot drying rack’ which seems excessive in summer, but as this campsite operates all year round…. 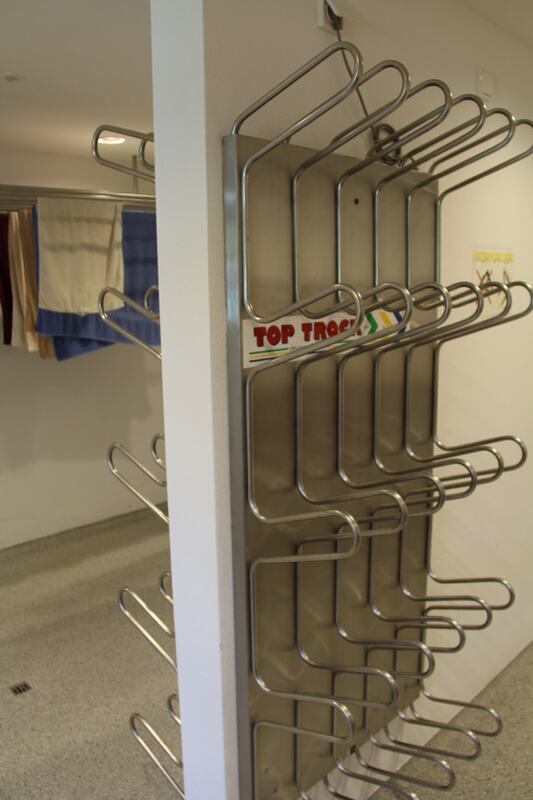 it goes without saying that drying rooms and boot racks would be hugely useful. 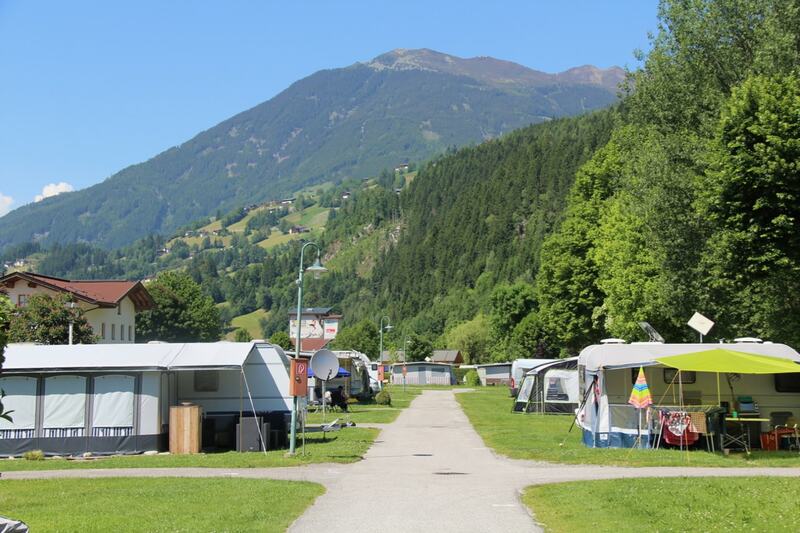 IIt’s just a really friendly and enjoyable campsite to spend time together as a family. 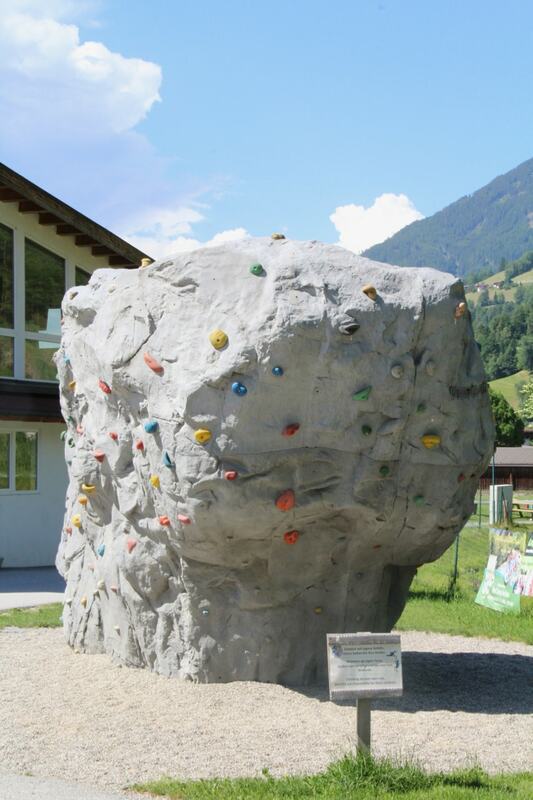 Our girls spent the entire day on the go… either racing over to the ‘climbing wall area’ or ‘playground areas’. 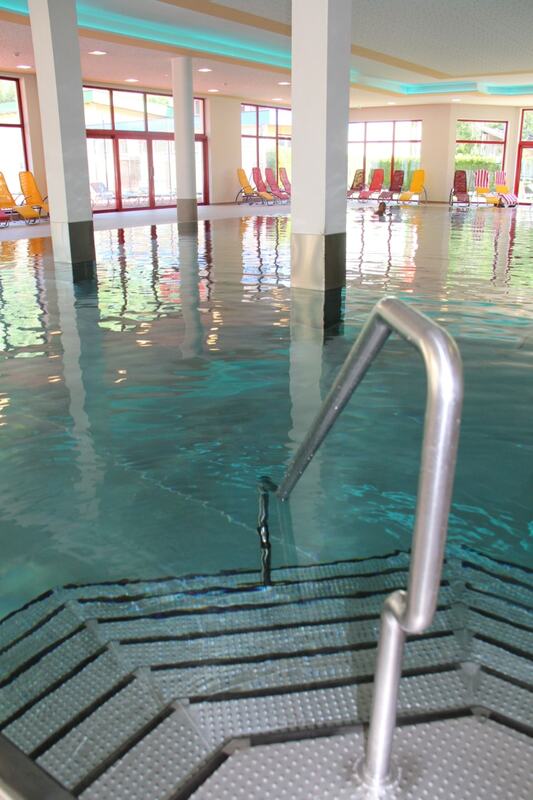 Or jumping in and out of the various indoor and outdoor pools on the campsite. 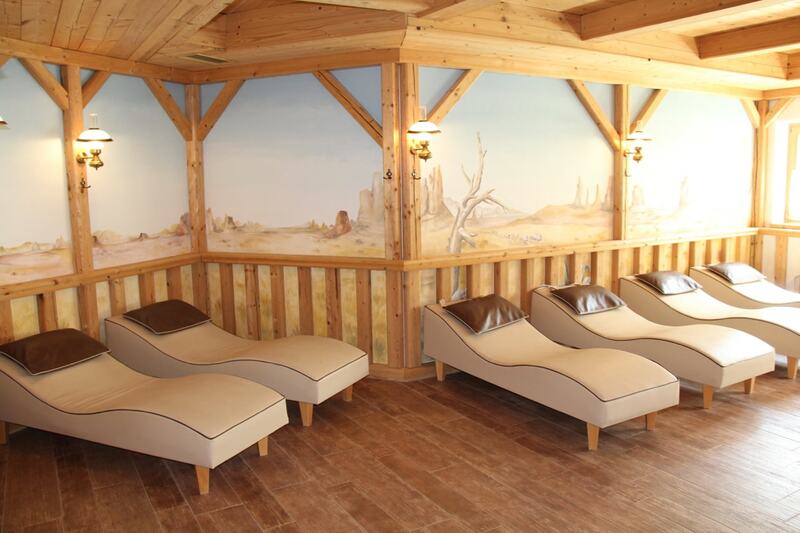 For those that love a decent sauna, then you might just love the ‘western themed’ sauna area or the renovated indoor pool complete with 60m ‘timed’ slide…It even has frequently changing colour in the relaxing pool, with both a kids pool and a real ‘swimming’ pool beside it…. 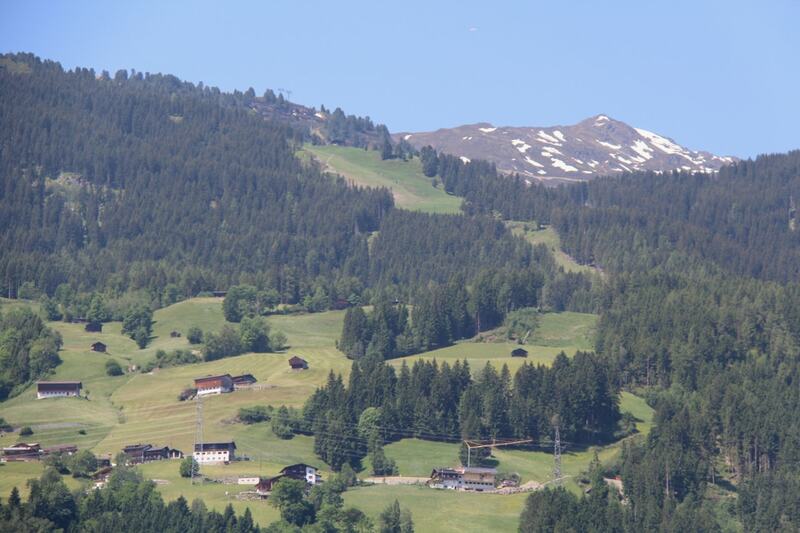 But if it’s been too busy a day, there’s always a beautiful ‘quiet area’ above with views over the mountains and waterbeds and fires upstairs. 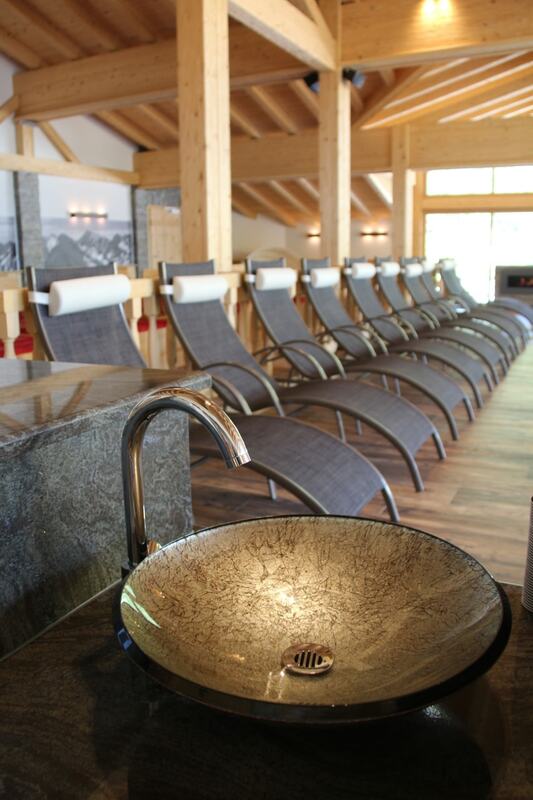 The sauna costs 10 Euros each, whilst the gym area is a cursory 1 euros… but the rest is free of charge if you are on the campsite or in the apartments. But despite the numerous things on offer across the campsite, in truth most of our visit was spent enjoying the ‘man made’ outdoor bathing lake. It’s well established and really well landscaped… full of little places to sun bath, jump into the refreshing water or even practice some swimming technique! But as you can see… with young daughters and plenty of places to enjoy the thrill of jumping into a safe, deep lake… it was easy to see why they enjoyed it so much. Amazingly the water was warm enough but also very fresh… in fact almost as crystal clear as the waters off the Croatian Coastline. 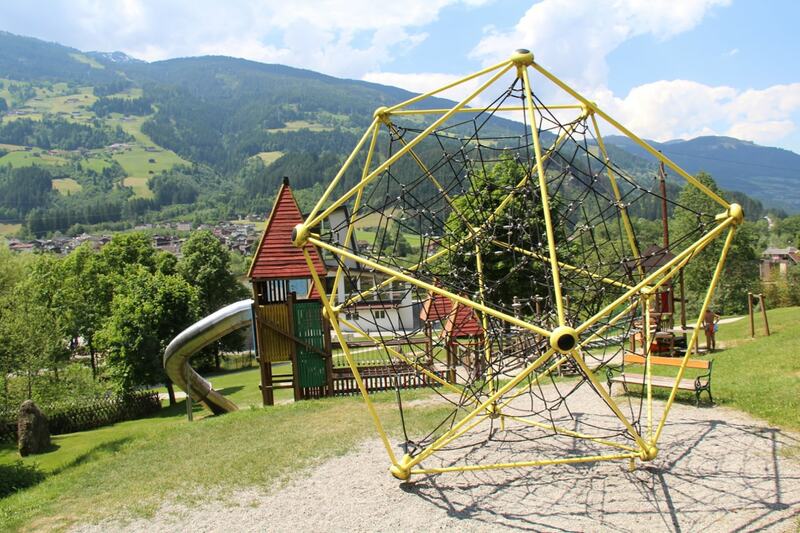 This is exactly the type of campsite that will appeal to active families that love a good challenge but with somewhere to relax too…just be prepared to join the crowds as we bet it is pretty full each summer!